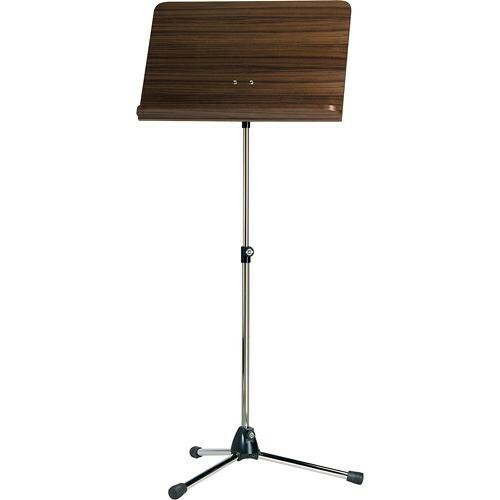 The K&M 118/1 Orchestra Music Stand with Walnut Desk is ideal for professional musicians with its die-cast base and folding legs. The Walnut desk attaches to the stand with a prismatic V-Block connector. Height adjustment from 26-47" can be easily achieved with a simple mechanism that will not mar the the stand's finish. Box Dimensions (LxWxH) 27.9 x 16.5 x 5.4"